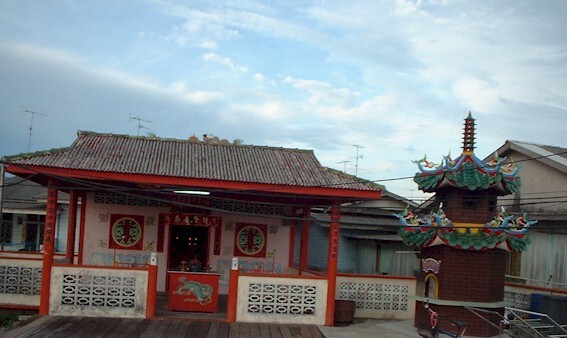 This is the main entrance of the Kukup Laut Fishing Village, located in between the Tong San Seafood Restaurant and Kwee Lim. 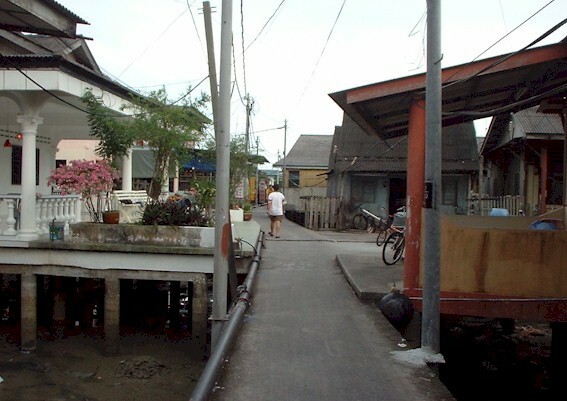 The whole village is linked with bridge-road. In the old time, the bridge-roads were wooden plank laid on stilts over the seashore swamp. Nowaday, the bridge-roads are upgraded to concrete. 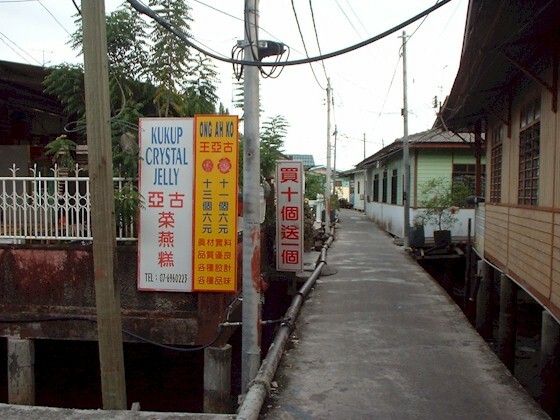 The famous Kukup local product -- Crystal Jelly Cake. It's now a very famous local speciality, and a must-buy bring back gift for the tourist. The famous "Soon An" Tua Pek Kong. Built some 150 years ago. Very famous once because of its history. There are 2 wooden blocks craft believed to be the god and goddess of the sea. Myterious legend about the blocks were passed down from the ancestor to the new generation. Ask the local folks and may be they will tell you the legend. The small speed boats are used to travel to and fro the floating fish farms. There are two types of fishing boat, "A" license is for net catching boat, and "B" license boat is the trolly fishing boat. 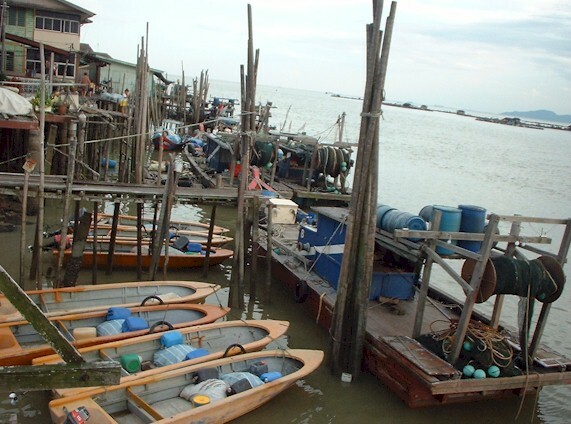 Most of the boats in Kukup Laut are trolly boats.